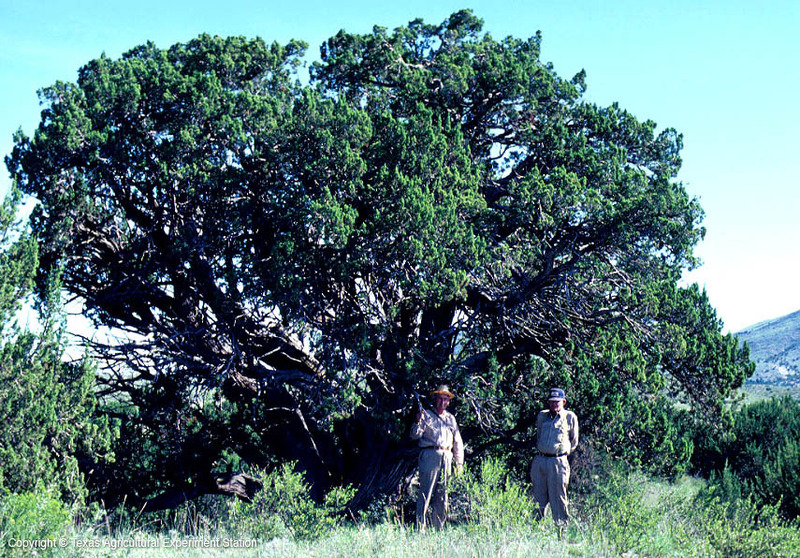 Pinchot juniper is found from the mountains of the Trans-Pecos east almost to Fort Worth and in the Panhandle. 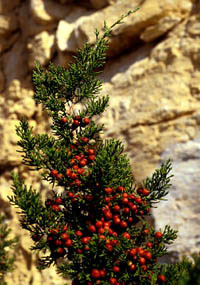 The most common juniper in the Trans-Pecos, it grows on dry rocky canyons and hillsides or on open flats in sand, clay or mixed soils. You can tell it from Ashe juniper by the bright red one-seeded female cones and more erect branching pattern. 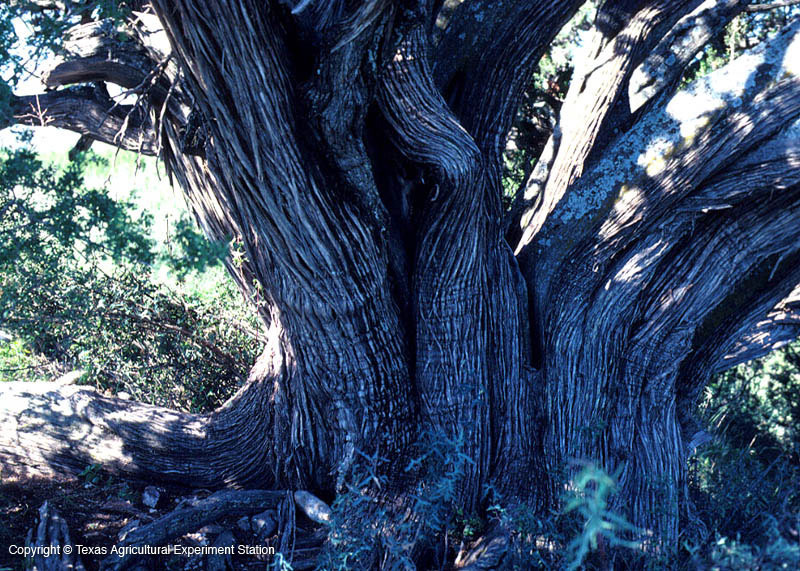 It sprouts from the base after fires or other damage.